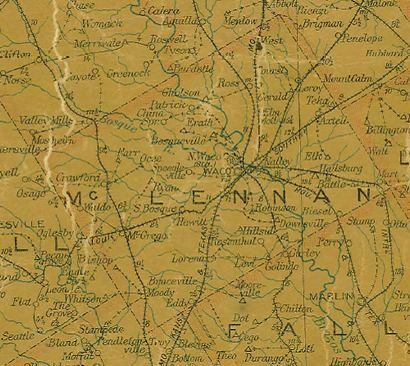 Established in the early 1880s in the Golden Age of Railroad Expansion, the railroad was the Texas and St. Louis and the route they were building was to connect Corsicana with Waco. The town was granted a post office in 1882 and the name was meant to honor a railroad officer. By 1890 the population was approaching 200 and Axtell had most essential businesses – including a hotel. In 1896 the population reached 250, growing to 400 by 1914. Flooding and storms in that year ruined crops and forced farmers into bankruptcy, nevertheless, Axtell maintained a population of 220 from the 1920s through the 1960s. The 1970 census showed a drop to only 105 but it has since recovered to 300 for the 2000 census.